Your family’s history is important. This video from the Association of Personal Historians explains how it works and why personal historians like me are passionate about what we do. While the APH is no longer active, we historians are and are helping people tell their stories all over the world. I’d love to help you tell yours! Thanksgiving is almost here—this year, when you’re gathered with family and friends around the table, plan for some intentional conversation. Many families have a tradition of sharing what they’re grateful for. This is a wonderful place to start. But you know you all sit around and reminisce over the 2nd or 3rd piece of pie too. Yes, you do! Ramp it up a bit and dig out the memories unique to your family, your background and culture. Record those stories, ask some questions of the “Do Remember When…” variety. Ask your older relatives about their holiday memories and past customs. What did Grandma cook for her first Thanksgiving dinner? Did she burn the turkey; forget the sugar in the pie? Were Uncle Joe, Charlie or Manny the practical jokers in the family? Tell the immigrant stories—most of us were immigrants at some point in our family history. What foods are traditional in your cultural background? Lefse? Posole? Latkes? Black beans and rice? Tamales? There are some funny, poignant, treasured memories hovering around in your family. Write ’em down or record them this year. Now—do you need a unique present idea? Your problem is solved! 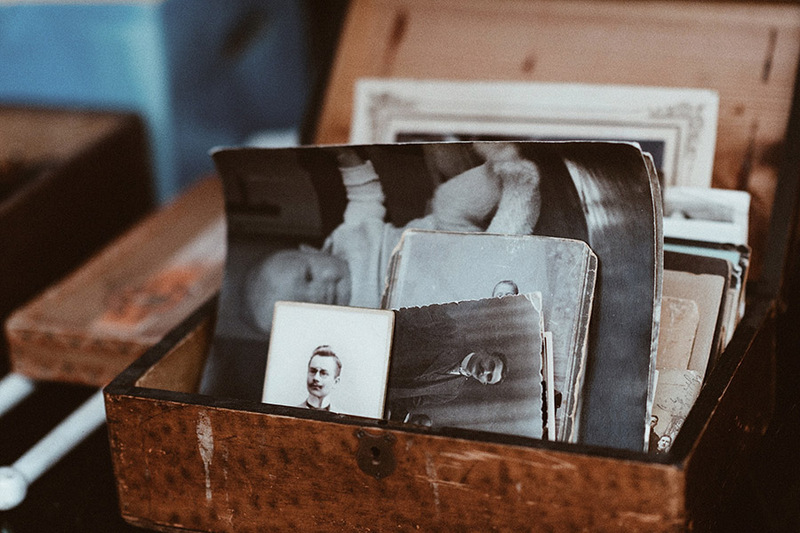 Turn those gathered memories into a short book, treasured legacy letter or photo memoir for your family. Long or short, it will always be remembered. There is nothing else like it—totally unique and you can give copies to everyone. Do you really think Grandpa needs another package of golf balls, or Grandma another set of slippers? Skip the awful dreaded Black Friday lines and give your family the gift of heart and soul instead. Gift certificates available — give me ring and let’s talk! Thank you to our veterans! To the men and women who have been willing to share part of their story with me, thank you, you have helped me to understand. To those whose sacrifice and role in history we honor while we are saddened that it is still often repeated, thank you. To those who struggle and are reluctant to share with their family–this is hard, but please share with us, we love you, your story is important. I want to share a brief conversation with an Iraq war veteran I’ve never forgotten. Years ago a family came to look at my old ranch horse, Shorty, for their young boys. A man, his wife and three year old son. They were stationed at Ft. Bliss down in El Paso, Texas. Danny said he had been in three combat tours. He said, “We are hoping to go live near some friends in Wyoming on a 2000 acre ranch when I get out of the army in 2013.” He got very quiet and said he needed wide-open spaces, “…I just don’t want to be in crowds anymore. I don’t want to shoot a gun anymore. I just want to go live and work on a ranch in Wyoming with my family.” He softly rubbed that old horse’s furry ears and got an odd look on his face. We stared at the long grass dying on the orchard floor on that cool fall day. I quietly said, “I bet there’s more behind that story.” He nodded and looked me straight in the eyes for a long second. I could not help the tears spilling down my face and said, “Thank you for everything you’ve done to keep us safe.” I never saw him again but have never forgotten this young man. Danny, I hope you and your family are living on that ranch somewhere. ¡Vaya con Dios! Are You Living Large or Hardly Living? …As I look back over my life there were so many things left undone. Don’t let it happen to you. So many things I started and didn’t finish. For instance that carton of chocolate fudge ice cream in the freezer, I had better go finish that or I will regret it all afternoon. READ THIS VERY SLOWLY… IT’S PRETTY PROFOUND. How many women out there will eat at home because their husbands didn’t suggest going out to dinner until after something had been thawed? Does the word ‘refrigeration’ mean nothing to you? She died a few years ago. We never did have lunch together. Because Americans cram so much into their lives, we tend to schedule our headaches. We live on a sparse diet of promises we make to ourselves when all the conditions are perfect! We’ll go back and visit the grandparents when we get Steve toilet-trained. We’ll entertain when we replace the living-room carpet. We’ll go on a second honeymoon when we get two more kids out of college. When anyone calls my ‘seize the moment’ friend, she is open to adventure and available for trips. She keeps an open mind on new ideas. Her enthusiasm for life is contagious. You talk with her for five minutes and you’re ready to trade your bad feet for a pair of Rollerblades and skip an elevator for a bungee cord. Now go on and have a nice day. Do something you WANT to not something on your SHOULD DO list. If you were going to die soon and had only one phone call you could make, who would you call and what would you say? And why are you waiting? Guess what? 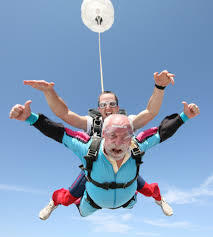 You don’t have to be rich or awesomely daring to have a fulfilling bucket list–it is yours so make of it what you will. Can’t see yourself “Running with the bulls in Pamplona?” How about visiting a working ranch or farm and feeding a calf? Not able to afford “Relaxing in Tahiti for 2 weeks?” How about retreating for a weekend to a gorgeous late half a day’s drive away? park, tie that puppy to your kid’s plastic sled and hang on. Mush, baby! Have you ever watched kids playing on a merry-go-round or listened to the rain lapping on the ground? Ever followed a butterfly’s erratic flight or gazed at the sun into the fading night? I’ll do a bit of confessing here. I’ve about wrapped up a memoir book for a couple here in southern New Mexico so, to celebrate, I bought a bottle of red wine and a big fat piece of tiramisu cake. I devoured the cake while reading this essay but will show some restraint with the wine and wait till tonight.